Participating in a sport is supposed to be fun. In fact, a recent survey conducted by the American Psychological Association estimates that 9 percent of all children use sports to help manage stress. For those children, sports can be fun, but for many children, sports can be extremely stressful. Children taking part in competitive sports often feel stressed, but the cause of that stress may be surprising to some parents. Often, it isn’t the coaches or your children’s teammates that are causing the stress; it could be you — and you may not even know you’re doing it! Are you guilty of any of these stress-inducing behaviors? Avoid stressing your child out during sports activities by remembering these stressful behaviors parents engage in during games, practices or even around the house. Sharing your own sports accomplishments may be inspiring to your child, but if you keep bringing them up, it could become stressful. Many children experience sport-induced stress from hearing stories about how great their parents were at a sport because they feel they have to accomplish the same things their parents did. Children have their own unique talents and abilities when it comes to a certain sport. Comparing them to other children or other teammates could produce feelings of anxiety and stress, especially when they are unable to perform the same skills or at the same level as the other child. You may think coaching from the sidelines is offering your child extra support or help, but it really is just confusing them. Children will feel extreme levels of stress with “bleacher” coaching from parents because they do not know to whom to listen for advice. Should they do what the coach is telling them, or should they listen to their parent? Yes, there are a lot of things that can come from engaging in sports. Scholarships, wonderful opportunities to travel and even jobs, but there is no reason it should become the center of your world or your child’s. What if they want to try a different sport or they get injured? Sports may not always be there, and if it’s all you talk about, your child will feel obligated to stay in sports long after they no longer want to play. If all parents had their way, their children would play in every game the entire time. But that decision rests with the coaches, not the parents — and for good reason. Don’t spend the time arguing with the coaching staff about how often your child is playing. It is embarrassing and stressful for your child! It’s natural to want what is best for your child, but when it comes to sports, you have to follow your child’s lead and let them pick the sports they want to take part in. Introduce your children to a sport you played when you were younger, but don’t force them to play just because you loved it and want to relive the good old days. No parent likes to see their child lose, and you don’t want to encourage a child to have a “who cares?” attitude, but it is important to make sure winning isn’t everything. When winning is everything, a child will feel tremendous pressure to impress all the time. Children need practice to succeed at sports, but scheduling several extra practice sessions a week can be overwhelming to youngsters and stressful/harmful on the body. Feel free to encourage your children to practice, but don’t force them to practice for hours in addition to their regular practice sessions. It is tempting to want to sign up a child for every sport they show a remote interest in, but many sports seasons overlap. The overlapping season leads to an overbooked schedule for your child, which leaves them tired, cranky and experiencing sports-induced stress. Pick one or two sports to focus on. It will be enough to keep you and your child busy. 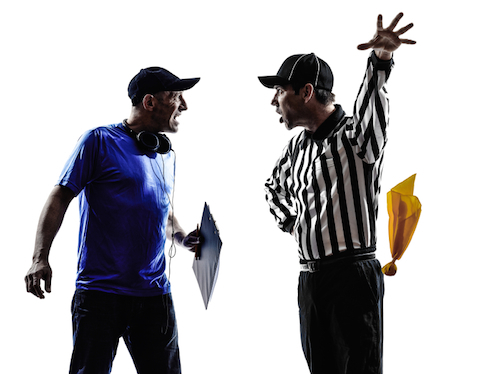 Scheduling conflicts between your child’s sports team and family events are inevitable. If the family event is important to you or other family members, skipping it could cause your child to feel an overwhelming amount of stress or guilt. After all, you’d be missing something important because of their interest in a sport. Brandon Capaletti is the Vice President of Cisco Athletic, a Maryland-based athletic apparel manufacturer that designs, produces and distributes custom uniforms for 18 different sports including basketball, soccer, and baseball. Do You Know What to Do if Your Young Athlete Gets a Concussion?